You want to see, like, 95% of the blood-gushing finishing moves from Mortal Kombat X? Here you go. YouTuber theRadBrad has uploaded a video that features almost all of MKX’s Fatalities, with the exception, he says, of the ones performed by unlockable character Shinnok. Players get him at the end of Story Mode. (It’s not clear if these were performed with the game’s purchasable Easy Fatality inputs.) Nevertheless, man, they’re all so over-the-top, eh? Hard to pick a favorite! 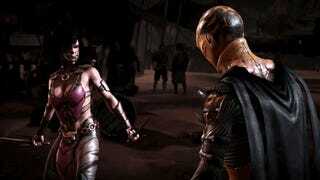 I’ll have impressions coming on Mortal Kombat X later today.